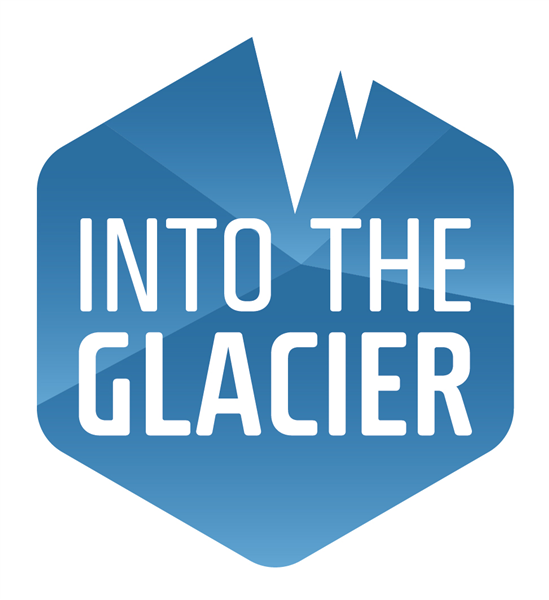 Into the Glacier offers variety of glacier tours to the largest man-made ice tunnel in the world. 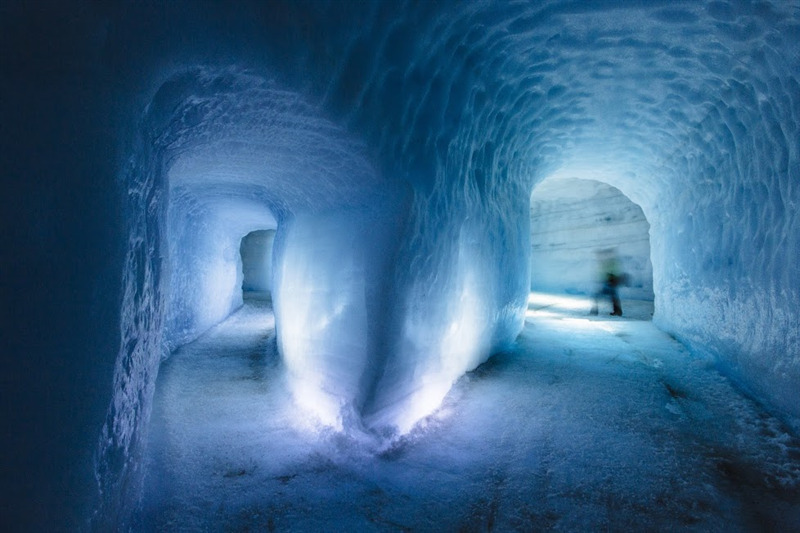 The tunnel is located high on Langjökull Glacier, the second largest one in the country, with a magnificent view over West Iceland. 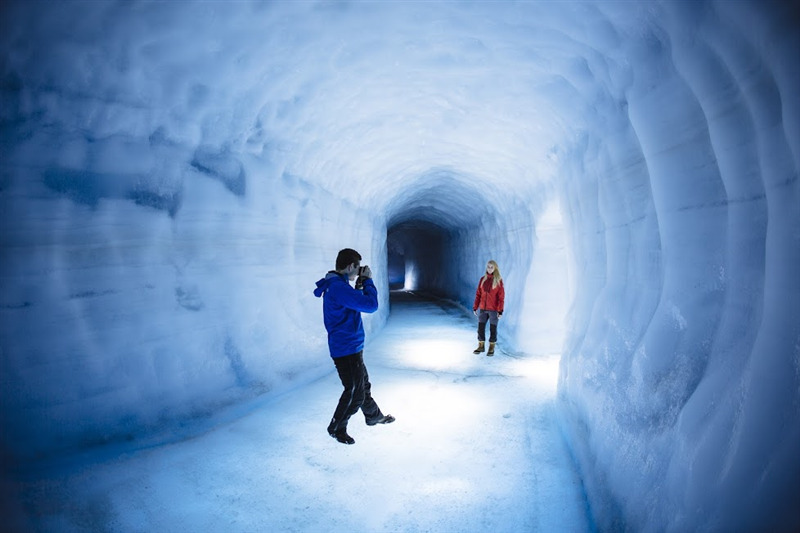 The ice tunnel reaches 40 meters below the surface and stretches over 550 meters into the heart of the glacier, where you will explore the deep blue ice and glacier crevasses. When driving from Reykjavik to Husafell, you take Road #1 North towards Borgarnes. On the way towards Borgarnes you will go through a tunnel under Hvalfjordur fjord after around 25 minutes’ drive. When you reach the bridge to Borgarnes, you make a right turn to Road #50. You continue on Road #50 which automatically changes to road #518 when you pass the intersection for Deildartunguhver hot spring. You continue for another 29 km before you arrive to Húsafell. We depart from Húsafell center during winter. 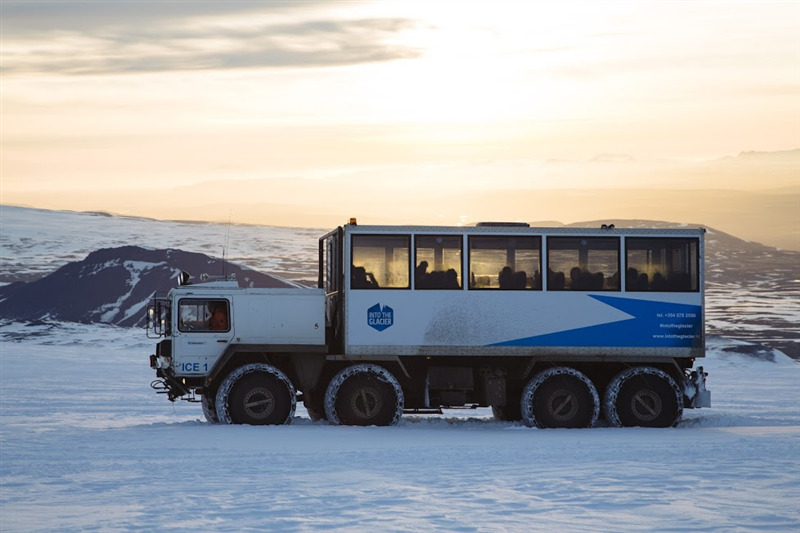 You should not miss the enormous Into the Glacier vehicles parked at the parking lot. When you arrive to Húsafell, you need to check-in for the tour. The check-in is located at the Húsafell information center.